A great, annual event takes place this week and you should come out to show your support. The GoodWorks Youth Awards honors exemplary young people who are doing good works in the areas of diversity, education, and the environment. The ceremony is this Thursday, November 17, 6-9 p.m. at the Mint Museum Uptown (500 S. Tryon St.). 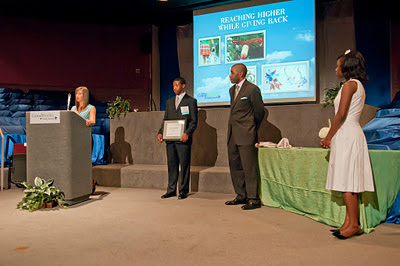 Scene at the 2010 GoodWorks Youth Awards. Photo by Jon Strayhorn/Media Arts Collective. The GoodWorks Youth Awards is hosted by my friend and colleague, Rahman Khan, president of GoodWorks Media Group, who also hosts the local PBS show of the same name. Rahman is passionate about showcasing the positive aspects in our community to help balance out the negative news coverage we're so often inundated with. 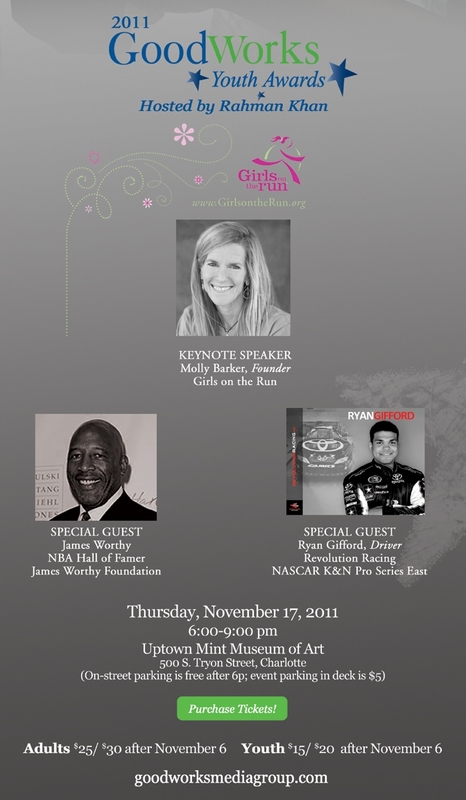 The keynote speaker Thursday is Molly Barker, founder of Girls on the Run. Molly is an inspiring speaker, who wowed audiences at TEDxCharlotte last year. The GoodWorks Youth Awards also features special guests NBA Hall of Famer James Worthy and Revolution Racing NASCAR driver Ryan Gifford. Click here to purchase tickets to the GoodWorks Youth Awards, which are $30 for adults and $20 for youth.